A new commercial has been released by Google on YouTube, providing you with a quick demonstration how the new Google Nexus 10 tablet can help you communicate with family and friends. The Google Nexus 10 tablet is the latest tablet from Google and is equipped with the world’s highest resolution tablet display offering a staggering 2560 x 1600 pixel resolution. 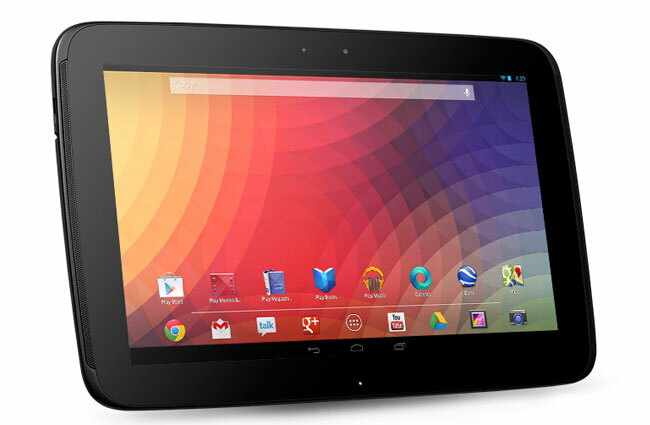 The Google Nexus 10 tablet is also offers 1080p playback and is available in either 16 or 32GB versions, and is powered by a Dual-core ARM Cortex-A15 supported by a Mali-T604 graphics chip. The Google Nexus 10 is fitted with a 1.9 megapixel front facing camera for video calling, together with a 5 megapixel rear facing for video and photographs. It supports WiFi 802.11 b/g/n (MIMO+HT40) and has a micro HDMI and micro USB port, with a powerful 9000 mAh Lithium polymer offering around 7 hours of usage from a single charge. To learn more about the new Google Nexus 10 tablet watch the new commercial below or jump over to the Google Nexus 10 website for full specs and features.